The SEC has boasted the winners of the past three National titles, as well as the winner of the inaugural League One championship. Let’s look deeper at how things are shaping up for 2019! The Baker Street Buttonhookers will be looking for the three-peat after winning the past two crowns on the bounce with minimal fuss. The London Rebels have their own title aspirations, as they took home the trophy the year before the Hookers joined the national leagues. Hoping to upset the balance, the London Smoke ran the table in Division One, picking up promotion and the title at the first time of asking. 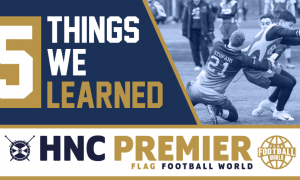 The Victoria Park Panthers (VPP) put up a massive effort to stay competitive, but didn’t manage to sneak into the post-season. 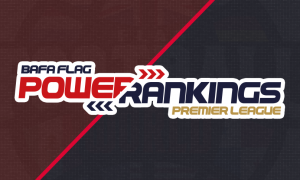 The Reading Lions round out the toughest division in football. For the second season in a row, the SEC will be a five team division. The Buttonhookers were beaten on the opening day of the season, but came back with a bang as they ran through their schedule. 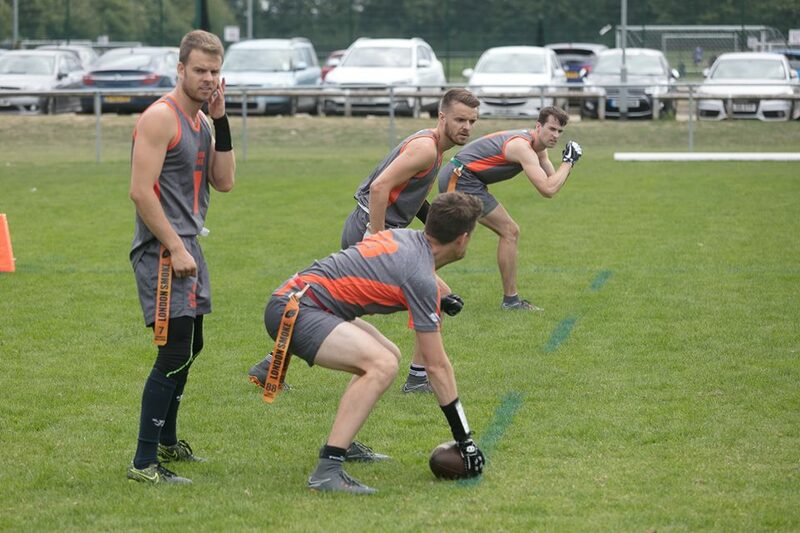 At finals day, the Hookers overcame the Oilcats, Rebels and Hornets to earn themselves a second Britbowl trophy. During the regular season, the Rebels dropped games to VPP and the Buttonhookers as they came in to the playoffs as the lower seed. Undeterred, they had the Hookers on the ropes in the final moments of their semi-final game, but couldn’t punch the ball in. They finished third overall. VPP started the season hot with the aforementioned win over the Rebels, but finished the season 9-5, finishing in the plate playoffs. 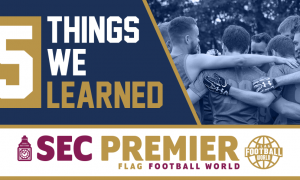 The Reading Lions might have been in our Relegation Watch, but they were never really in danger, as they finished 7-7, with a late upswing in results giving us reason to believe they’ll be feeling good coming into this season. The Chichester Sharks were the team relegated as they finished 1-12. 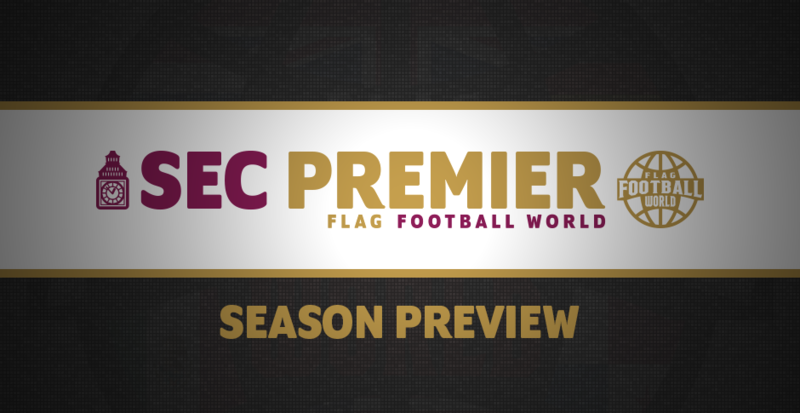 They lost their relegation playoff game against the Northants Titans White, and accepted their status as a League One club for 2019. The London Smoke are the teaming moving up after going undefeated in 2018. They hoisted the Division One trophy, and joined the division they’ll feel they belong in. The London Smoke joining this division really does put the cat amongst the pigeons. As much as we’d always hoped VPP would break up the Rebels and Buttonhookers, it was always a faint hope, as they didn’t have the firepower to consistently get the results necessary. We have no such fears about the London Smoke, as they’ve proven in the past that they can stay competitive against some of the top teams in Europe. 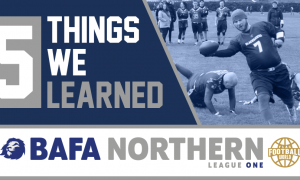 After an impressive showing at Pink Bowl (without their star man…) the Smoke won the gruelling Flagging Iron Man tournament in Glagsow, and followed that up with a victory in the BAFA Pre-season Challenge Cup. Who did they defeat in the final? The Baker Street Buttonhookers. Totally different format of game, and both teams were missing guys, but that’s still a statement win to give us moment for pause. 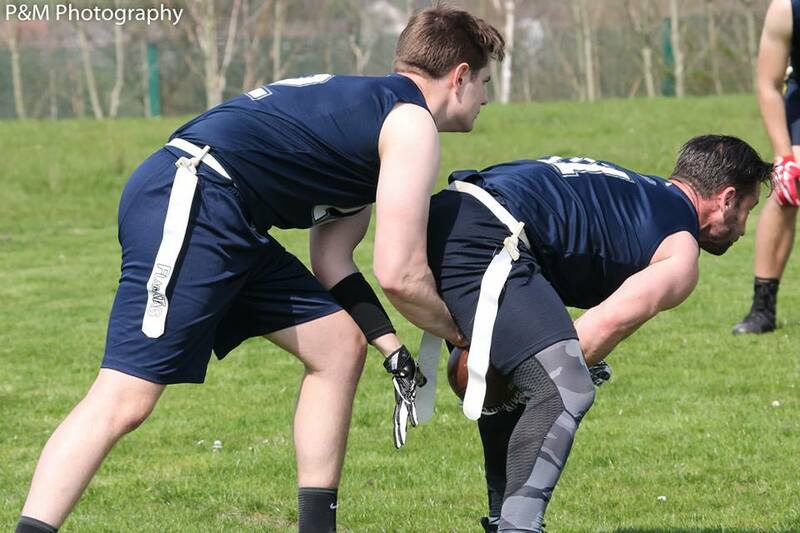 Elsewhere the Buttonhookers continued to add to their already stacked roster, as Premier Division North Defensive Player of the Year Max Verlint has hooked up with the Britbowl winners in their bid for a third title. The London Rebels are also bound to add to their stellar lineup, as they can attract local talent with their history of success and current title chances. VPP might be losing some big names, but Ewan Miller has returned from the wilderness to give some savvy to an already difficult team to negotiate. We’re excited to see what he can add to the mix. The Buttonhookers are going to be the obvious side we’re going to be following closely as they make a bid for championship number three. They might have to lean heavily on their depth, as this is going to be a long, arduous season. Seeing how the London Smoke perform is going to be the big story in this division. Will they manage to mount a serious playoff bid in year one? Or will the Buttonhookers and Rebels swat them away? VPP figure to lose Charlie Douglas for a portion of the season, so in the space of one offseason they’ve gone from playoff hopeful to potential relegation candidate. The Reading Lions ended 2018 on a high with big wins and performances against the SWC sides. 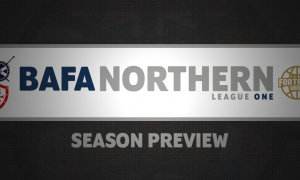 But will they be able to repeat the trick to avoid relegation? Henry might be the quickest player on these islands. On top of that, he’s got a ridiculous ability to lay out for any ball in his vicinity. Once he’s got that ball in his hands, it’s difficult to corral him. Look out for several mazy TD runs from this mercurial talent. The rich get richer – the Buttonhookers have recruited the services of the former Denmark national squad blitzer, as Marc will provide considerable experience to arguably a position of weakness from last year. 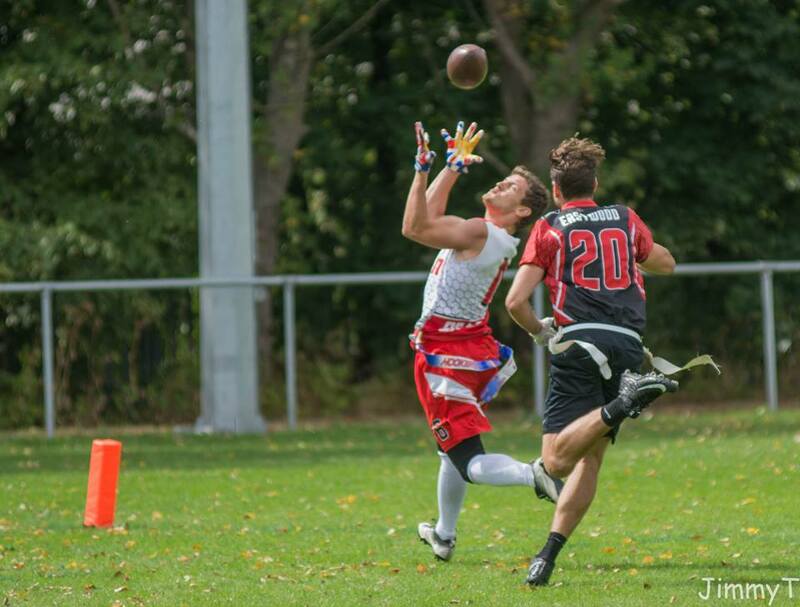 He figures to suit up at WR too for the Hookers, as they’ll dig deep to defend their title. As Nick goes, so too do the Reading Lions. 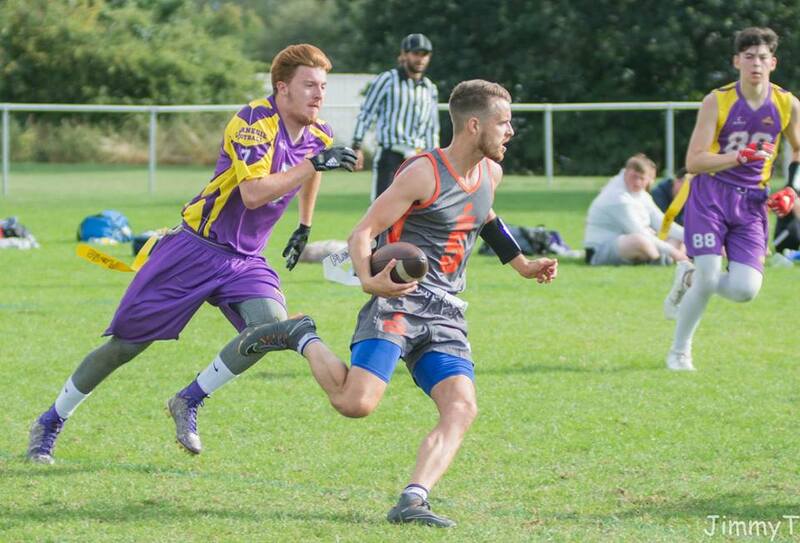 The GB Silver Lion QB dragged his team out of a difficult situation in 2018 to cement their Premier Division status. Can he build on those performances to make a push and improve on the 7 wins picked up last season? The Buttonhookers will start slowly, while the Smoke begin with a bang, taking an early lead. We’ll all panic about the Buttonhookers’ credentials. They’ll get their act together, and put some punishing performances in, while the Smoke will dominate the SWC. The Rebels will make the playoffs as the next strongest team. VPP will struggle without Hovis, but will stay up in the relegation playoff. VPP would probably be mid-table in any other division in the Premier Division. Come season’s end, the trio at the top will have been sick of each other, as they’ve got a few crunch matches in the final two weeks of the season. By that point, we imagine the Buttonhookers will be in post-season form, while the Smoke and Rebels will be the teams everyone from the North will want to avoid.